Winstep Forums • View topic - Winstep releases Winstep Xtreme 7.11! Post subject: Winstep releases Winstep Xtreme 7.11! Winstep is proud to announce the release of Winstep Xtreme v7.11 Final. You can download the new Winstep Xtreme 7.11 version from HERE. Overall performance has been greatly improved. Desktop Module positions are now automatically remembered when switching themes. The RAM meter module is now capable of displaying the top memory hogs. Added the ability to provide custom Wanda animations. Updated the internal list of Internet Atomic Time servers to replace those not in service any longer. Edge bumps now work when performing drag & drop operations. Changed the Internet communication retrial delays to prevent excessive flashing of the desktop modules when WorkShelf thinks an Internet connection is available when it actually isn't. 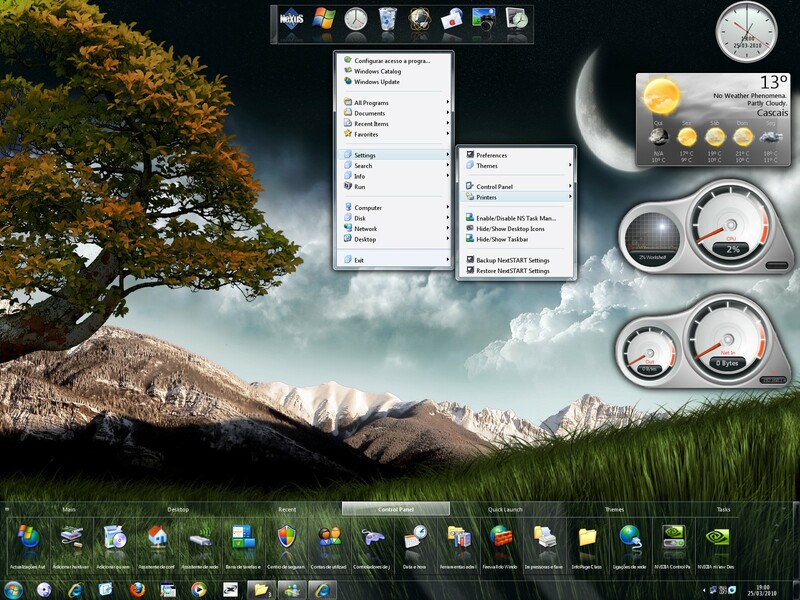 Included the extremely popular Winstep Atmospherica theme (over 27,000 downloads) in the default theme pack.